(QT) (Fort Lauderdale/Hollywood) 1988 - 1989. Photos. Framable Color Prints and Posters. Digital Sharp Images. Aviation Gifts. Slide Shows. Majestic Air Boeing 727-51 N5609 (msn 18806) FLL (Bruce Drum). Image: 102460. Majestic Air was formed as a charter airline by the Crystal Palace and Resort and Casino in 1988 using the assets of defunct Pacific Interstate Airlines-PIA. 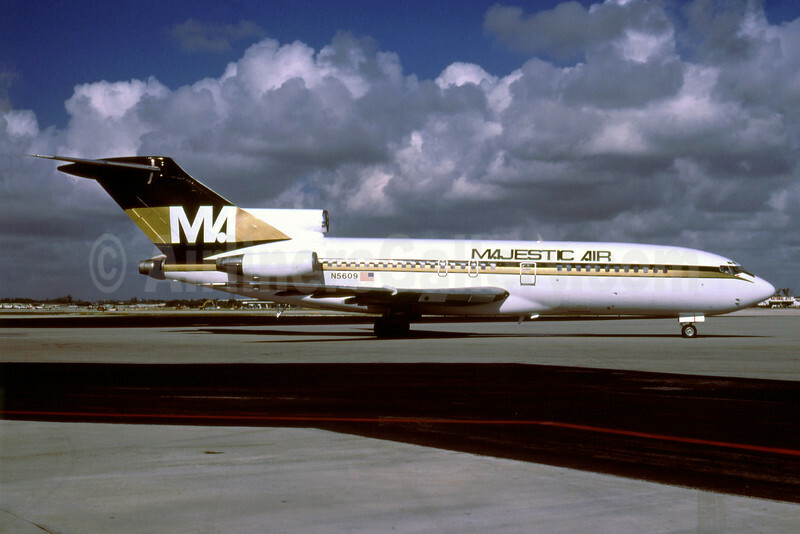 Majestic Air launched operations on November 15, 1988 between the Fort Lauderdale/Hollywood base and Nassau in the Bahamas. However the carrier was short lived, as owner Carnival Cruise Lines changed its name to Carnival Air Lines in June 1989 to match the branding of the cruise ships.